8 months ago I hit a point in my life that can only be described as my personal rock bottom. Among other things, I was binge eating, drinking too much too often, and generally trying really hard to act like everything was ok. My mental health was suffering and it was deeply affecting my personal life, my marriage, my friendships, and finally, it was starting to creep into my work. I saw Whole 30 as a way to control something in my life. Anything. I just needed something to hold on to. It all started on one of audio book binges when I discovered "Why We Get Fat". 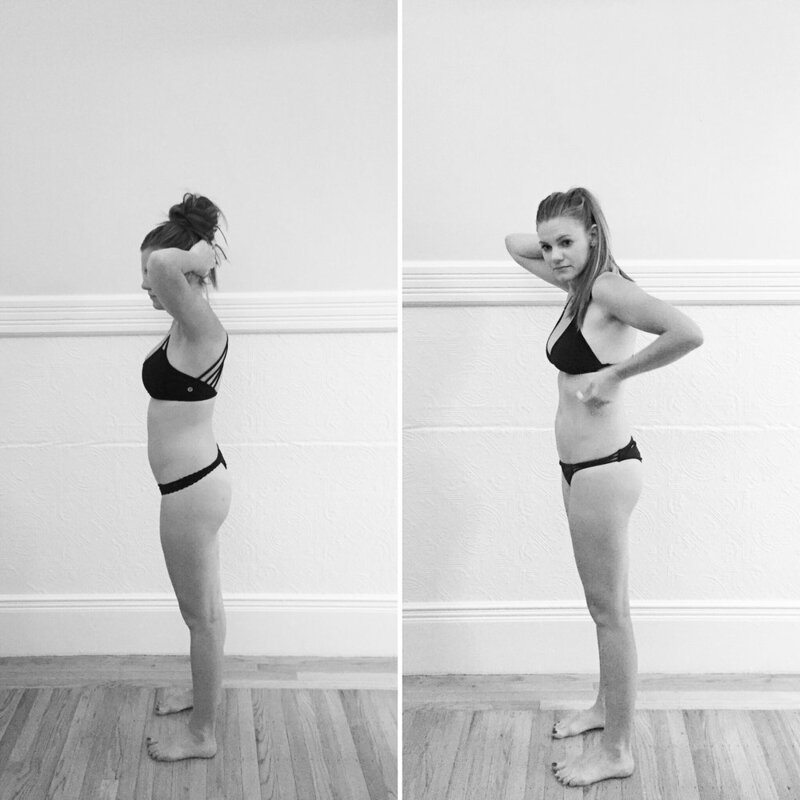 It was extremely eye-opening and changed many of my eating habits overnight. Then a friend recommended "It Starts With Food" (the Whole 30 book), and after reading it, I wanted to try it immediately. I didn't plan in advance or wait until I had a free social calendar. I read the book and I started the next day. Clearer Skin - I've always been acne-prone and still struggle with annoying skin but noticed 15 days in that my skin was smooth, I had no blemishes and the redness was drastically better. And it hasn't changed since, still totally clear! Better Sleep- I used to get 12+ hours of sleep, wake up late, and still not have much energy. On Whole 30 I started noticing I was waking up earlier with more energy. Now I consistently wake up around 7am with a lot of energy and it lasts through the day. My sleep patterns have been so different, and I never even tried to change anything! Way more energy - Like I'm talking so much energy to workout, get more done, take on hobbies, go walking and then some. Excitement about life + things again - This one is a whole subject in and of itself. After a slump into some deep depression and anxiety related issues, I finally found a small glimpse at excitement for life again. And the biggest of all (this might be TMI!) zero cramps. Once a month for the last 10 years I spent the day in bed throwing up every hour and take about 15 advils just to manage said pain. On Whole 30.....I felt nothing. NOTHING. Anything that can cure the torture of that wins big in my book. Plus small victories including not craving carbs or sugar, losing weight, etc. After 6 weeks of psuedo-Whole 30 and a couple of completely off diet vacations, I started my second round of 100% compliant Whole 30 (goodbye cream in my coffee!) mid-May. My goal this time was 100% compliance and a full food reintroduction after the 30 days. I became obsessed with reading ingredients (I literally can not believe how many things have sugar in them! ), I read and participate in many online forums, am constantly searching out new Whole 30 recipes, and even created a spreadsheet to track compliant brands, recipes, and just about everything else Whole 30. I've fully enveloped myself in clean eating, learned so much about myself, what works for my body and food in the process, and loved every minute of it. And the cream in the coffee? I haven't had regular cream ever since. I didn't have as much physical progress, but mentally, my entire relationship with food changed. I did a full re-introduction after this round and have a much better idea of what and how much of any food is good for my body. I've found some balance but am still very aware of exactly what I am eating. It is still hard sometimes, there are a million situations where it is easy to fall off course, but slowly I'm experiencing and learning from each one. The first round was what I needed at the time, but this round actually changed everything for me in terms of creating a lifestyle. 1. Making the decision: This program has really worked for me. It actually changed my life, and that is not an exaggeration. That being said, no amount of inspiration or progress pics could have made me do it before I was ready. You truly have to make the decision for yourself. I wasn't ready for a long time (I could never have imagined I'd EVER put my health first), until one day I was. I was able to acknowledge my own reality, and only then was I ready to make actual changes to my diet and lifestyle with determination. The "one bite won't kill you" thought process is more detrimental than you might think and won't work with this program. That decision, the one to change your life, that is always always always the first step. 2. Read The Book: The first thing out of my mouth when someone asks me about it is "READ THE BOOK" (It Starts With Food). There is seriously no substitution for it. Without it I never would have understood WHY I was doing what I was doing. This is the biggest key to it all for me. 3. Prepare! 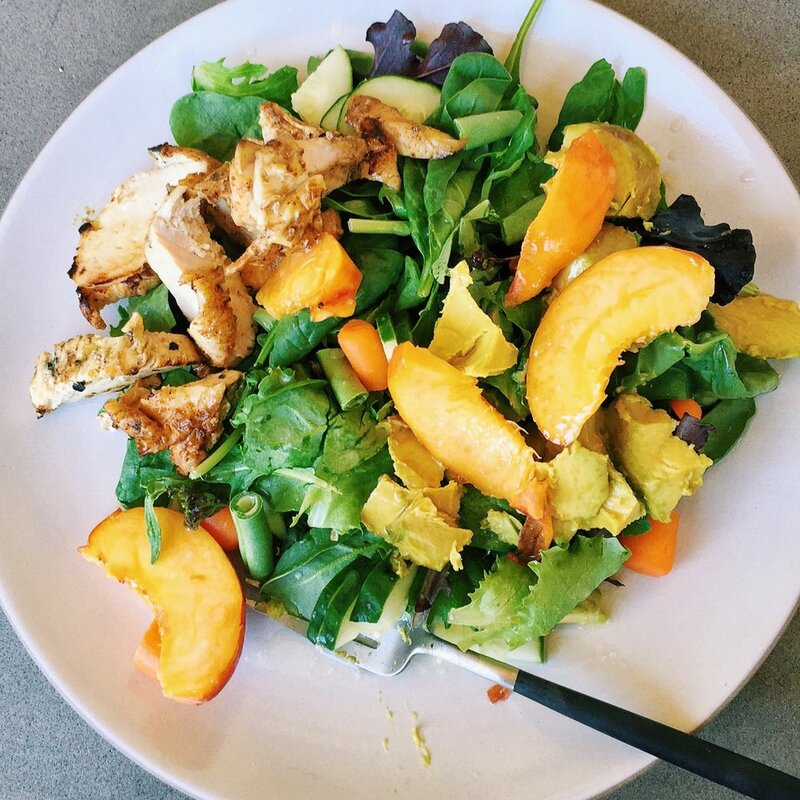 The best way to do Whole 30 is to make it work with your lifestyle. Keep things as simple as possible by finding easy recipes, sticking to the same salad every day (change up the dressing if you need a change), and prepare some on-the-go meals when needed. Before heading to the grocery store, do a little research on ingredients and prepare a list. Before going to a restaurant, look over the menu or call the restaurant. It can be very hard to "be that person" special ordering everything, but you are worth it. At the beginning of every week I spend a little time working on a weekly meal plan, taking a look at the calendar to see which days I need to prepare extra for (tons of meetings, not at home, etc.). I don't stick to it completely, but it helps to have something to fall back on. Planning is so important in the success of this program, don't underestimate how much it can help! 4. You Can Do It: Don't underestimate yourself. You have full control over the decisions that you make. It is 30 days, it isn't that hard. Change your thought process, stop making excuses and just start. Oh and check that "one bite won't kill you" attitude at the door and commit 100%. Restart if you eat something you aren't supposed to, do the re-intro. It is worth it. Breakfast: Every morning I have 2 scrambled eggs and about a 1/2 cup of breakfast sausage (I make my own - this recipe is delish!). To help with my vegetable intake, I have raw carrots/cucumbers on the side. (I never liked eating anything before noon so this whole eat breakfast thing is HUGE for me.) If you are one of those people that can eat dinner for breakfast or have leftovers, this is a great way to switch things up a bit. Lunch: Salad. Salad. Salad. I prep the basics of my salads at the beginning of the week (lettuce, cut carrots, cucumber, and green beans) and place the tupperware in the fridge for the week. At lunch I cut up whatever leftover meat I have or grill a chicken breast, cut up some avocado and a little fruit and top it with TesseMae's Lemonette dressing and a little salt! Easy. Sometimes I will have dinner leftovers for lunch, but for the most part it is salad central! Dinner: This is where things vary most. I have a Pinterest board of recipes and I now spend some time finding, prepping and making completely new recipes at least twice a week. But if I am short on time, didn't prep properly, etc. I BBQ or grill some sort of meat, steam veggies and call it a day! I have watched a couple YouTube videos on how to grill, some simple stove techniques, etc. which has helped improve my cooking game. Since I have to eat this food every day, I might as well stop overcooking things! Here are some of my favorite online resources, recipes, and staple items that helped me with Whole 30. Everyone has different tastes so it is wroth doing a little research of your own to at least find some recipes that sound interesting. 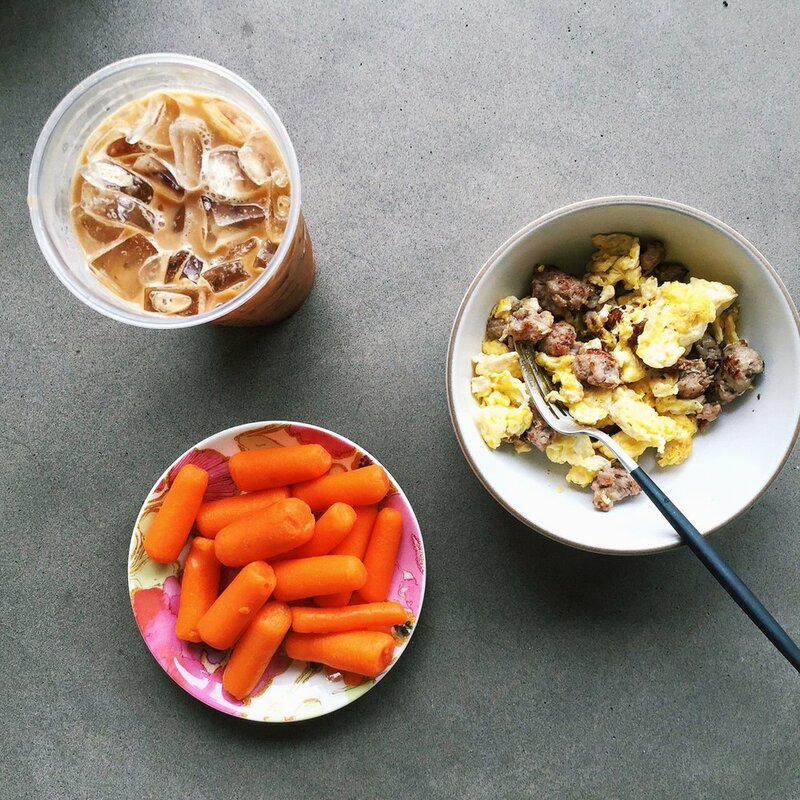 There is a ton of great inspiration out there that will help make Whole 30 anything but boring! Mealmade - Paleo Meal Delivery in SF. They list the ingredients for each item making it easy to find what meals are and are not compliant. Spreadsheet of compliant brands, etc. - You must still read labels to confirm. This list is meant to point you in the right direction. Tasteful - An app that highlights the best restaurants for any given diet, as well as recommendations for the best diet friendly dishes! Use Google as a research if you don't know if something is compliant - I still do this daily! Nutpods Coffee Creamer - THE BEST. I prefer this to half and half now! TesseMae's Whole 30 Sauces Pack - I haven't tried all of them yet. I like the Lemonette and Lemon Garlic though!